A Swiss cruise ship in Germany has crashed into a supporting pillar of the A42 autobahn in the city of Duisburg. 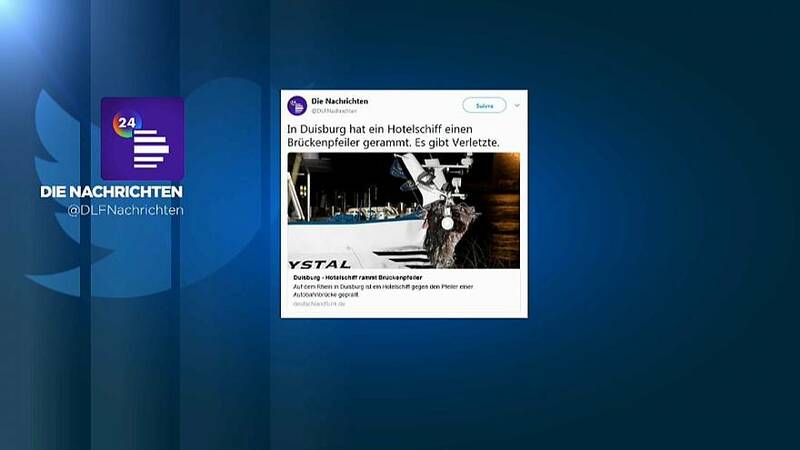 27 people were injured on board when the accident happened on the Rhine river as the vessel was on its way to the Netherlands. In total 129 passengers were travelling on the “Swiss Crystal”. Shortly after the incident staff and passengers were able to move onto another boat provided by the travel company. Police say the road will not re-open to traffic until structural engineers have checked it's safe. It is not yet known what caused the accident and river police are investigating.